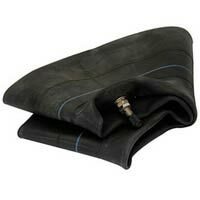 Top Quality Heavy Duty Butyl Scooter, Motorcycle and Motocross Inner Tubes. Many available with either straight or angled valves. Inner tubes available to suit a wide variety of rim sizes and dimensions : - 10", 12", 14", 15", 16", 17", 18", 19" and 21"
Motorcycle, scooter, moped and motocross rim tape. 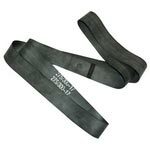 Rim tapes are required for most tubed tyre rims, placed between the spoked rim and the inner tube so that the spoke heads don't puncture the inner tube. 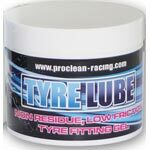 Pro Clean Motorcycle Tyre Lube. Non residue, low friction tyre fitting gel. Tyre fitting with ease! This revolutionary tyre fitting gel takes all the effort out of fitting a tyre.